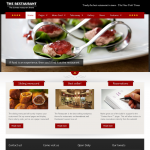 This page contains a collection of the best restaurant Wordpress themes reviewed by the frostpress.com team. Because Wordpress and themes can be so customizable there are a lot of templates created solely for restaurants. Some common features include: food menu & categories, team profiles, slide shows with videos, responsive, WooCommerce compatible & more. Make your restaurant website look visually stunning through Wordpress themes making it quick & easy to generate content with any coding experience required. 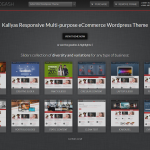 Use our detailed reviews & site examples to find the right theme for you.